Dhaka, Bangladesh (BBN)- The central bank of Bangladesh has started reviewing the guidelines on risk-based capital adequacy for banks aiming at helping all commercial banks comply with the Basel-II framework. “We’re now reviewing the guidelines considering the bankers’ recommendations on different issues including the percentage of minimum capital required of the banks,” a senior official of the Bangladesh Bank (BB) , the country’s central bank, told BBN in Dhaka. He also said the central bank earlier discussed the issues with the banks separately to know their actual position on adoption of Basel-II accord. 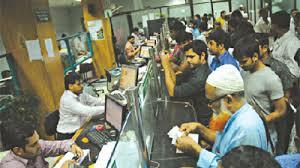 The central bank of Bangladesh has taken the move against the backdrop of only 22 commercial banks being able to comply with the minimum capital required (MCR) under Basel-II framework out of 48 banks, the BB officials said. The MCR has been set to 10 percent with the risk-weighted assets of the banks or US$57.78 million (BDT 4.0 billion) of total capital which is higher that would be treated as MCR of the banks under the Basel-II accord. The Association of Bankers, Bangladesh (ABB) has recommended to the central bank to bring down the MCR to 9.0 percent from the existing 10 percent in terms of the risk-weighted assets of the banks. The Basel-II accord came into force in Bangladesh from January 1 this year to consolidate capital base of the banks in line with the international standard. Bangladesh is now following Basel-II for the banks’ capital adequacy requirement. Risk-based capital ratio was 8.0 per cent when it was first adopted in 1996. Later in 2002, the ratio was increased to 9.0 per cent. The banks will have to submit the Basel-II implementation report on quarterly basis to the Department of Off-site Supervision of the BB by the end of the month following the end of each quarters, they added. The new Basel accord has been prepared on the basis of three pillars: minimum capital requirement, supervisory review process and market discipline. Three types of risks — credit risk, market risk and operational risk — have to be considered under the minimum capital requirement.